Chris Mackowski’s new book The Great Battle Never Fought: The Mine Run Campaign, November 26-December 2, 1863 is another in the now lengthy line of books in Savas Beatie’s “Emerging Civil War Series.” It is an especially important book in this introductory series of books because it is only the second book ever written on the Mine Run Campaign, and it is the ONLY book to get the story of the Battle of Payne’s Farm (Nov. 27, 1863) correct. 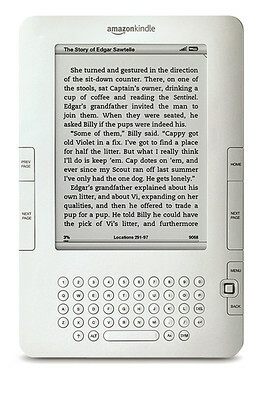 The book contains an abundance of illustrations and sidebars to make the story come alive. In late 1863 George Meade was feeling pressure in front from Lee’s Confederate army, and behind from Dan Sickles and others eager to see his downfall. The Mine Run Campaign was one last attempt by Meade and his Army of the Potomac to do something constructive before winter set in. Chris Mackowski has written “more than a dozen” book on the Civil War, many in this series. He also serves as editor-in-chief for the “Emerging Civil War Series.” Chris and his compatriots blog regularly at Emerging Civil War and do a great job providing fresh content every week. Chris, apparently a very busy guy, also finds time to be employed as a writing professor at St. Bonaventure University and the historian-in-residence at Stevenson Ridge on the Spotsylvania battlefield. The two campaigns in the east after Gettysburg, Bristoe Station and Mine Run, have long been forgotten. Popular histories of the war seem to skip from Gettysburg to the Wilderness as if the months of July 1863 to April 1864 never happened. But as Chris Mackowski’s new book The Great Battle Never Fought: The Mine Run Campaign, November 26-December 2, 1863 explains, things were most definitely happening in the Eastern Theater in late 1863, even if no massive battles were fought in this time frame. To understand Mine Run you really also need to understand Bristoe Station, the preceding campaign in October 1863. Things had changed since Gettysburg. Robert E. Lee had sent his Frist Corps under James Longstreet to help the beleaguered Confederates out west, and, in response to the Confederate victory at Chickamauga Meade detached the Eleventh and Twelfth Corps west to shore up the Union armies besieged in Chattanooga, Tennessee. The two smaller armies stayed active, however. Lee knew that Meade had weakened his army, so he tried to regain the initiative by attempting to flank Meade’s Army. The opposing forces started the campaign along the Rapidan River well west of Fredericksburg and Chancellorsville and in the following weeks moved all the way up to Centreville near the old Bull Run battlefields. Eventually, Lee conceded that Meade had successfully prevented the flanking maneuver and retreated all the way back to the Rappahannock River by early November. Meade had one last chance to alter the war in the East before winter. That last chance was the Mine Run Campaign. Before the campaign began in earnest, Meade was able to successfully dislodge the Confederates from a bridgehead north of the Rappahannock River at Rappahannock Station on November 7, 1863. After this embarrassing defeat, Lee moved his army further south behind the Rapidan River, and the stage was set for the campaign proper. At this point in time, George Meade was feeling the heat. He had failed to follow up the Gettysburg Campaign with any large scale victories. To make matters worse, his nemesis from the Battle of Gettysburg Dan Sickles, a consummate politician, was actively working to achieve Meade’s downfall in Washington, D. C. And Ulysses S. Grant was busy winning yet another victory in the West at Chattanooga. For all of these reasons and more, Meade tried one last campaign to win a victory. On Thanksgiving Day, November 26, 1863, Meade’s Army moved out and attempted to flank Lee on Lee’s right flank. The movement, and in fact the entire campaign, share some parallels with the Wilderness. Meade used several fords on the Rappahannock, including Germanna Ford, to move his army south into the Wilderness. He wanted to concentrate beyond Lee’s right flank at Robinson’s Tavern before moving forward. Events, especially due to poor leadership in the Third Corps, conspired against him. For reasons unknown even today, Third Corps commander William “Blinky” French and his division commander Henry Prince were completely inept during this movement, losing time fording the Rappahannock River, not progressing rapidly to Robinson’s Tavern and then taking a more exposed road to get there, completely in contradiction to Meade’s written and verbal orders. The result was that the Union army was essentially split into three parts. French’s Third Corps and Segdwick’s Sixth were stuck north of Robinson’s Station. Gouverneur Warren’s Second Corps was at Robinson’s Station on the Orange Turnpike as ordered, and George Sykes’ Fifth Corps was further south covering the left flank of the Union Army at New Hope Church on the Orange Plank Road. As the Union corps struggled to reach the correct destinations, Lee’s army was on the move after having spotted the Union forces from Clark’s Mountain. Two divisions of Early’s Second Corps marched down the Orange Turnpike to oppose Warren at Robinson’s Station, while all of A. P. Hill’s Third Corps faced off against Sykes at New Hope Church on the Plank Road. One of Early’s Divisions, however, moved alone further north along the Rappahannock River, looking to prevent any Union columns from flanking the Confederate line somewhere just south of the Rappahannock River. That division, under Edward Johnson, had almost completely passed near Payne’s Farm on its way south to join the rest of Early’s Second Corps when the last brigade in line was struck by elements of the Union Third Corps under French. This started the Battle of Payne’s Farm, fought on November 27, 1863. Johnson’s entire division reversed course back to the sounds of the fighting. In a bloody and inconclusive action, French’s Third Corps was prevented from reaching Robinson’s Station. It was a lost opportunity for Meade because his forces would have greatly outnumbered Early’s two divisions there. As it was, French moved slowly, Sedgwick’s entire Sixth Corps was stuck behind him with nowhere to go in the thick Wilderness, and a chance to concentrate overwhelming force was lost. That night Lee withdrew westward into fortifications his men had dug behind Mine Run. The run itself helped make the position even more imposing, as Meade found when he advanced to face Lee on November 28. All surprise was lost. If Meade wanted to win a battle here, he had either to successfully attack imposing fortifications behind a natural obstacle or find some other way. That other way was proposed by Gouverneur Warren, who suggested he could move quietly around Lee’s right flank and attack the Confederates before they were able to build more earthworks. Warren moved on November 29, but by the time he got into position to attack, he could see the Confederates shifting to oppose him, and they were already building more fortifications. Warren’s attempt had failed, and it became even more obvious on the morning of November 30. Meade, desperate to do something, ordered Warren to attack. After scouting the new Confederate lines, Warren objected. Meade went to look at the lines himself, and despite the immense pressure to do something and attack, Meade chose to call off the assault as a waste of human life. By doing so, he was sure he would be sacked. Mackowski is clearly impressed with Meade’s moral courage to NOT make the final attack at Mine Run. By early December, Meade had recrossed the Rappahannock River and settled into winter quarters. Although Meade did not ultimately lose his job, he was in essence superseded by Ulysses S. Grant the following Spring. The short-lived Mine Run Campaign was over, and it did cost William French his job when the Army of the Potomac was reorganized. This book follows the by now well established pattern of the Emerging Civil War Series. Numerous illustrations, 175 in all, are scattered onto almost every single page. Mapmaker extraordinaire Hal Jespersen provides the eight maps. Mackowski presents a concise, readable, and easy to follow account of the Mine Run Campaign. This is important given the lack of other book length studies of this campaign. The Great Battle Never Fought: The Mine Run Campaign, November 26-December 2, 1863 is important because it is the first book to properly establish where the Battle of Payne’s Farm took place. Interestingly, Savas Beatie co-founder Ted Savas was the one who found the battlefield after looking over the Official Records reports of the fighting, and he contributes an Afterword discussing this research. 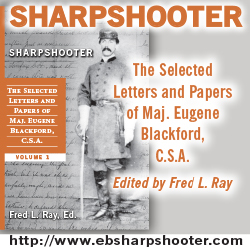 The Emerging Civil War series is an attempt to present synthesized, somewhat condensed accounts of the major battles of the Civil War. But in this case, because only one other book on Mine Run exists and because that book got the Battle of Payne’s Farm wrong, this book is clearly the best book ever written on the Mine Run Campaign. In another standard feature, a tour guide for the campaign is provided with a map depicting the stops on the modern day road grid. Appendix A is a short piece on Culpeper National Cemetery, contributed by Michael Block. Appendix B covers the reorganization of the Army of the Potomac in March 1864, with First Corps and Third Corps ceasing to exist, and John Newton and William French, along with other sub-par officers, losing their jobs in the process. A detailed order of battle down to the regiment/battery level, along with commander names down to the brigade level, rounds out the book. 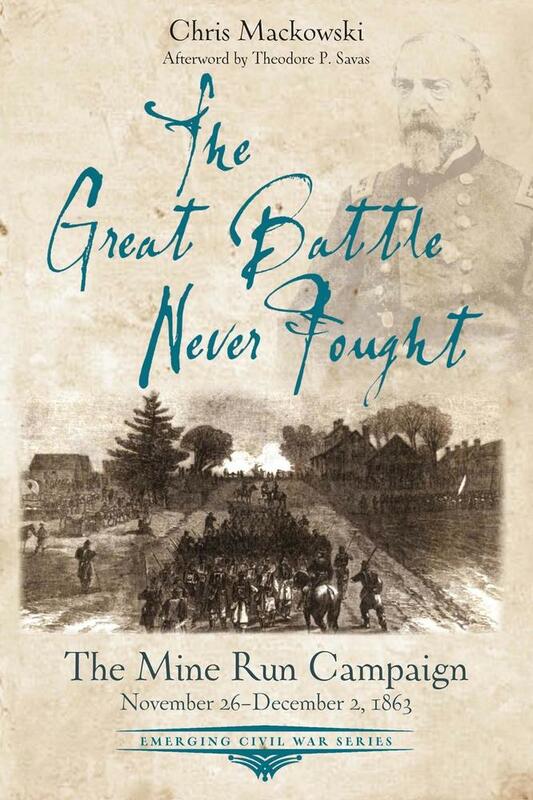 The Great Battle Never Fought: The Mine Run Campaign, November 26-December 2, 1863 is another in the well-known and successful “Emerging Civil War Series” of books from Savas Beatie. It is aimed at those new to the campaign and is a high level overview of the proceedings. Those interested in the Eastern Theater will want to own both this book and the earlier volume on Bristoe Station. The Afterword by publisher Ted Savas is noteworthy as well given his direct role in finding the Payne’s Farm battlefield location and helping in preservation efforts there. This is without a doubt the best book ever written on the Mine Run Campaign. A copy of this book was provided gratis for the purposes of this review. Thanks for this in-depth review. We appreciate it. I thinks this is the third book on the subjec–but it depends on how you are counting them, I guess. In addition to the old Howard series book (one of the worst of the bunch, IMO), Brad Gottfried did an entire atlas on Bristoe Station and Mine Run, and I worked closely with him to get get the Payne’s Farm portion correct (and the end notes there go into extensive detail). Anway, I am glad the story (especially of Payne’s Farm) is coming to light. I have always found it to be the most fascinating of the smaller actions of the war upon which potentially momentous events rested. Good point Ted! I guess I really meant monographs dedicated solely to one battle, but anyone interested in Mine Run is definitely Italy going to want to pick the atlas up as well. Brett: I’d add that there are extensive source notes available via the series website.